The iconic Smith House is part of a series of ultra modern houses that marks the first rationalistic stage in the work of Pritzker Prize winning architect Richard Meier. 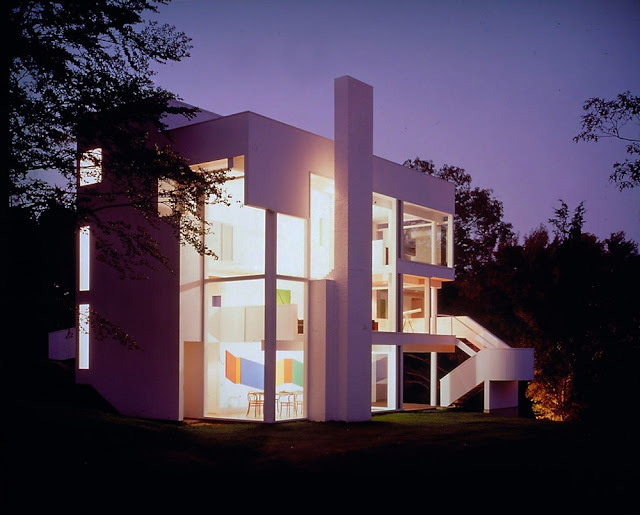 This ultra modernist architectural masterpiece displays the unmistakable touch that would mark the start of Richard Meier's career as one of the most beloved modern architects of the 20th century. 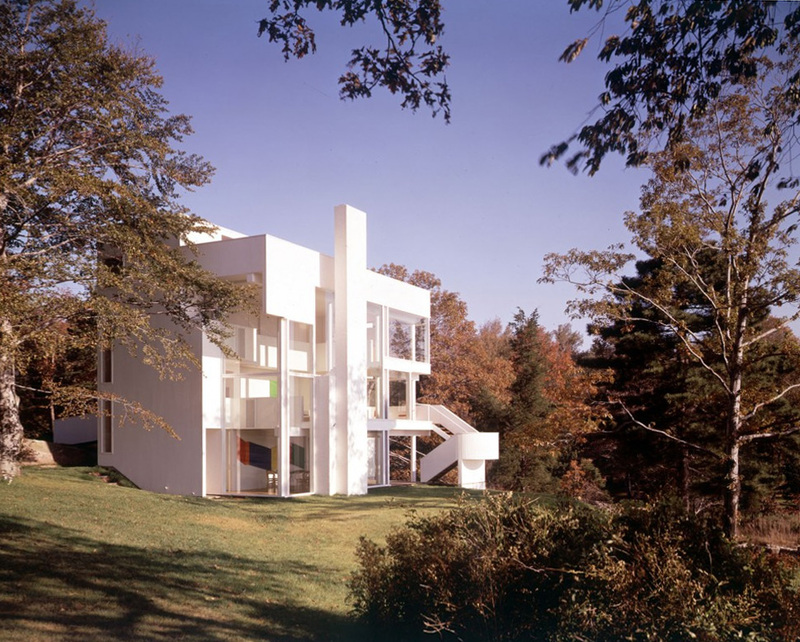 With the Smith House, Richard Meier turned architecture into a veritable masterpiece of art. 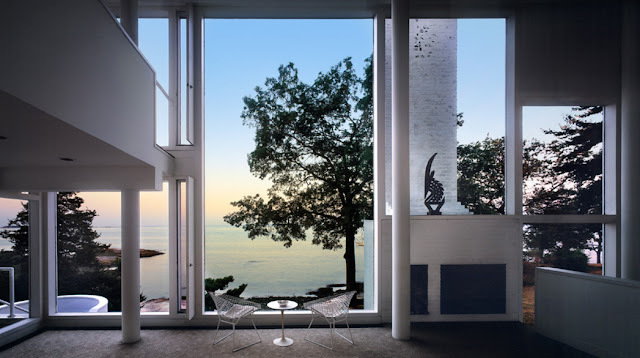 Richard Meier's Smith House, built amidst the rocks and trees of a one and one-half acre site, overlooks Long Island Sound in Darien, Connecticut. A dense cluster of evergreens stands at the entrance to the property. Behind, the land clears and rises to the center of the site, then drops sharply to the rocky shoreline and a small, sandy cove. 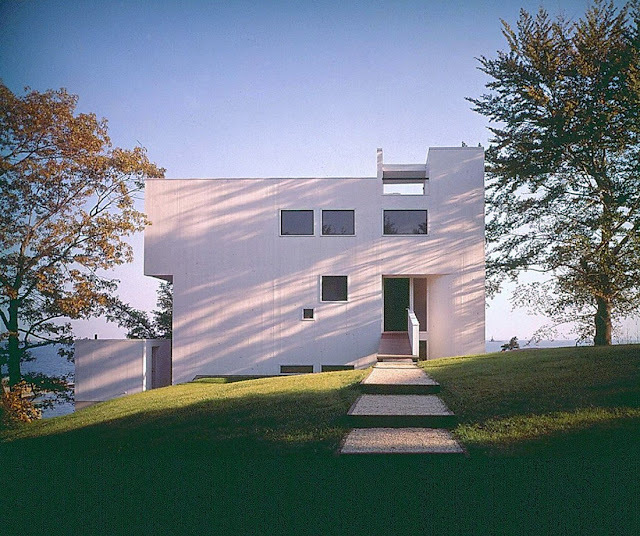 Located on a hillside, the modernist structure appears like a white light box that emerges between the trees. 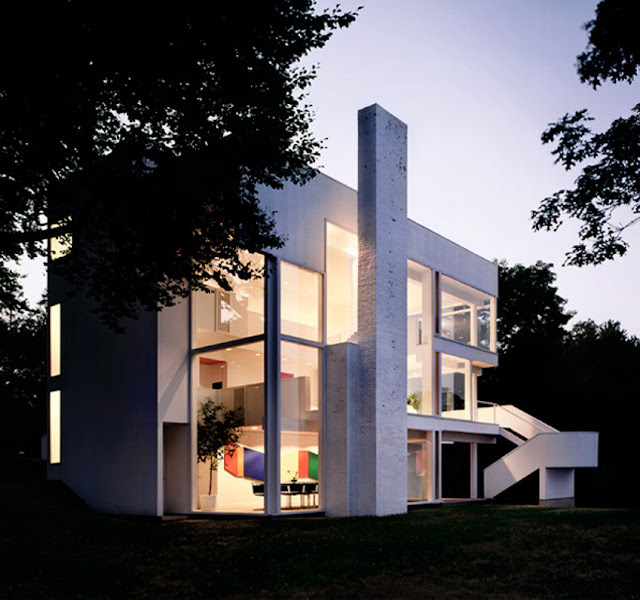 The Smith House creates a strong visual contrast with the surrounding landscape. The spatial organization of this house hinges on a programmatic separation between public and private areas. The private side of the house is at the entrance facing land, woods, and road. A series of closed, cellular spaces, these private areas are organized through three levels behind an opaque facade which is intermittently pierced with windows. 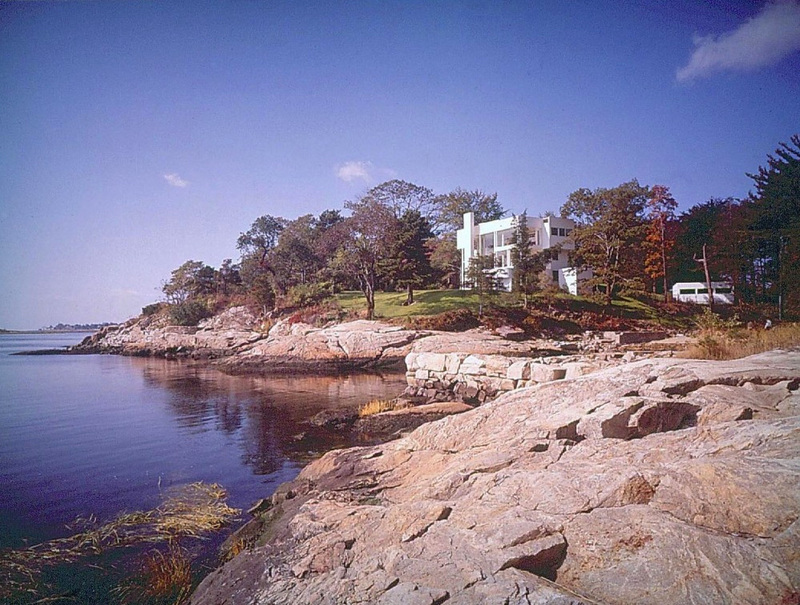 The public spaces, where the family meets and entertains, are to the rear of the house, overlooking the water. This public sector consists of three levels nestled within a three-sided glass enclosure; from the outside, the ground and upper levels appear as solid slabs held fast in the white mullions of the glass shell. 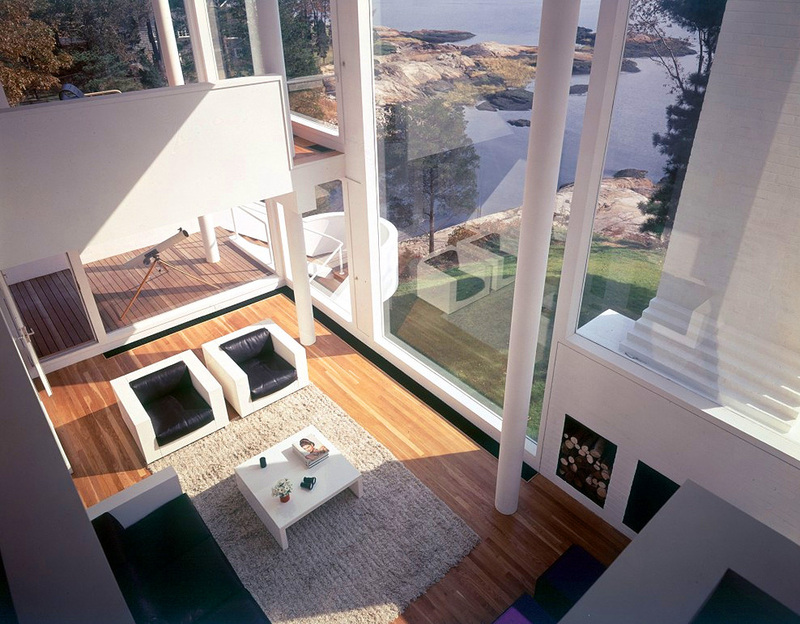 The dramatic view of sea and sky that greets one upon entering is framed and intensified in the transparent skin of the rear facade. Placed directly opposite the entry, a painted brick fireplace pushes to the outside through the tight frame of mullions. Suspended between the chimney and the steel structural columns, the glazed wall creates a subtle tension that draws the occupant across the living space to the outside. 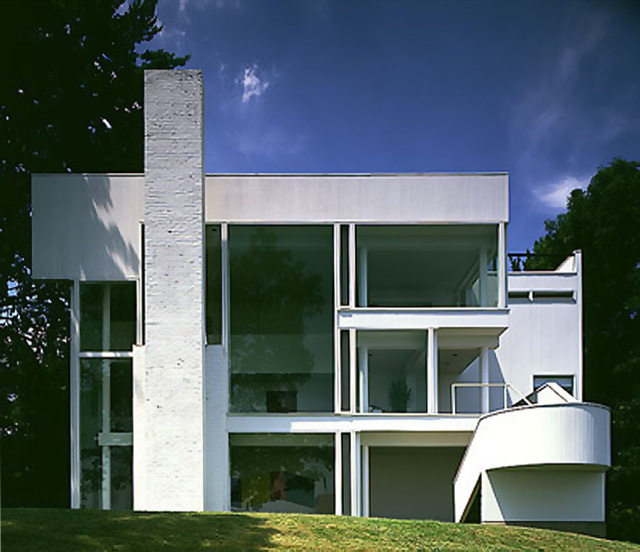 The balustrades of the lower and upper levels are set back from the glass, amplifying that tension. As a camera records the moment of an event, the experience of changing light and weather activates the crisp surfaces of the house, while the clear glazing gathers subtle reflections of the interior across its surface. The natural and the manmade exist as separate, elemental experiences, yet it is impossible to separate one from the other. 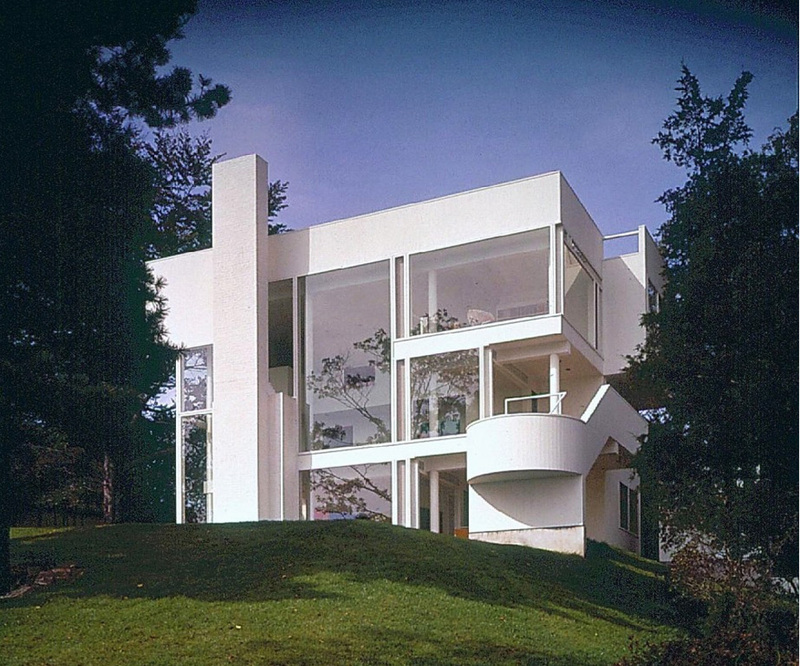 Richard Meier Smith House captured in 1967. Richard Meier Smith House captured in 2000 (note how the trees have grown).